Being in the tiny home business I often meet customers who are looking to achieve something very specific with their tiny house dreams. There’s an underlying theme in today’s society. Whether we call it awakening, awareness, restlessness, a large audience of people are feeling resistant to what most might call the mainstream lifestyle. Pursuing possessions that did not provide happiness accepting conditions in your professional life that are detrimental to your happiness. Putting off enjoying your life with the hopes that you’re still healthy enough to enjoy yourself after 50 to 60 years of working. There’s a movement to turn all of this on its head and start to look at life differently, look at life for what it is in the moment rather than just working towards a future state at a future date. Why wait 50 years to go on a two-month vacation across the country exploring the wilderness, when you could achieve that now. It may seem unrealistic but that’s just a matter of finding innovative ways to achieve your goals. Let me give you some personal examples. I work in the software development space as a project manager handling large global projects. My passions are nature, mountain biking, yoga, reading, gardening, sustainability, solving entrepreneurial problems, education and the like. 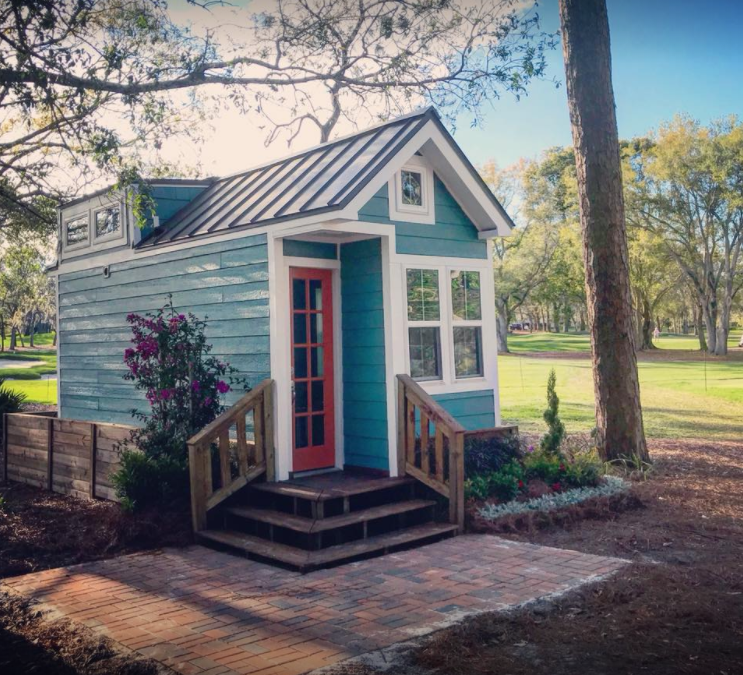 I have a small home in Jacksonville Florida that is less than 1200 square feet and I would be completely content with half that square footage. I bought the house because it is a small house on a large pie-shaped lot in a great neighborhood. I have one of the largest yards in the neighborhood with one of the smallest footprint houses. Exactly how I want it so that I can garden and have the feel of “the woods” in my backyard. I am lucky enough to work for a company that allows me to work from home one day a week and I found I would typically spend any free time that day out in the yard gardening or working outside on the computer perfecting one of my entrepreneurial passions. Working from home was such a great solution for me and for my employer I thought to myself why can’t it be like this all the time. Great question it’s just a matter of achieving something others may see as unconventional. So I set my intention to become fully remote with my job within the next 6 months. Luckily through conversations in a great relationship with my Manager I was able to go fully remote within 3 months and have been working that way for over 6 months now with great success. What this means to me is that I can now work wherever I want as long as it allows me a stable quiet work environment with internet access. For me this is an extreme luxury and truly provides me happiness on a daily basis. That is the crucial understanding, for me it’s not another $10,000 a year it’s the ability to work from home or from a campsite or from a co-work environment or from anywhere really. That’s freedom is what truly provides me happiness, so that’s what I made my priority. After getting settled from going remote I started to do a little traveling and gave some thought to what other changes I might be able to make that would provide me my ideal lifestyle. I’ve been learning a lot over the last year about becoming money neutral meaning having things that pay for themselves so you can have them without really paying for them. An example is now that I’ve started traveling more I have the option to rent my house while I’m gone to help cover mortgage expenses. By covering 1/2, 3/4 or even all of my mortgage while I’m out traveling I put myself in a great financial position, provide a great product to the people who rent my house and have the ability to travel and experience different parts of our world. This is my small personal example of Lifestyle design and how looking at things from a high level and then drilling down to the innovative and sometimes unconventional solution that facilitates the lifestyle you’re targeting can lead to genuinely life-changing experiences. By taking the time to seriously analyze what it is you are fulfilled by, not just what society tells you you should seek but what truly fulfills you. What truly makes you happy to look back on? What are you proud of? Sometimes what on the surface seems to be a happiness inducing activity, like buying a new car, does not provide you any lasting happiness. On the other hand achieving a long-term goal, volunteering for a good cause or stretching yourself outside of your comfort zone might provide you genuine happiness for years to come. Being able to look back on those moments and relive the feeling of those experiences is something that far out last the shininess of a new car. So take a deep look at your goals, motivations, dreams, bucket list, whatever. Then take another look at it. Talk to a trusted friend about it. Take another look at it. Eventually you won’t have anything else to say, add or delete. This is when you know that you have a solid base to start from and it’s time to design the path to getting there!